Hand made in Japan of 100% sulphite neutral pH smooth on one side and slightly textured on the other 4 natural deckles. 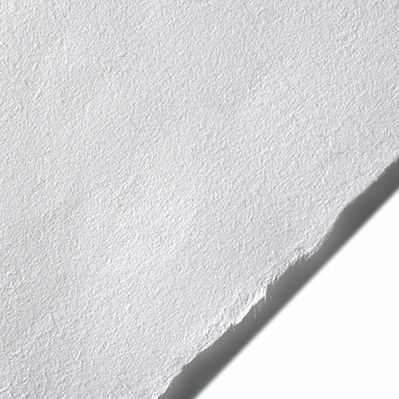 * Hosho is a fine quality strong paper creamy in color and absorbent. * It is the best choice for relief printing due to its resistance to tearing. * Hosho Student is used as a repair and restorage paper and is rougher in texture than Hosho Professional.